As expected, altcoins prices are slowing down after periods of sustained bullish attempts in the second half of last week. As it this, there sellers are running reign in most coins under our preview. Needless to say, week ending Sep 9 and Sep 5 bearish engulfing pattern is a definite price damp for buyers. All in all, should prices move above $9 in EOS, $70 in Litecoin, 25 cents in Stellar Lumens and $150 in Monero, then we shall have a trend continuation pattern. In that case, our immediate bull targets might be hit. That the blockchain development is still in development is understandable. However, propping up excuses with such claims is not acceptable. That’s at least not from an average investor who buys and holds the token in hopes of a better return. Trybe is getting a backlash, spewing speculations that the EOSIO network may after all have back-doors allowing token issuers to access user accounts and do as they deem fit. It’s the mutability factor that’s present in EOS and voted so as to improve “governance” and “oversight” from rogue elements that may hamper investment in EOS and their dApps as it’s definitely a cause of concern. Still, EOS is the fifth most capitalized coin the crypto verse and yesterday, prices were stable. Capping gains is Sep 13 bullish engulfing bar with obvious resistance which triggered buys late last week. 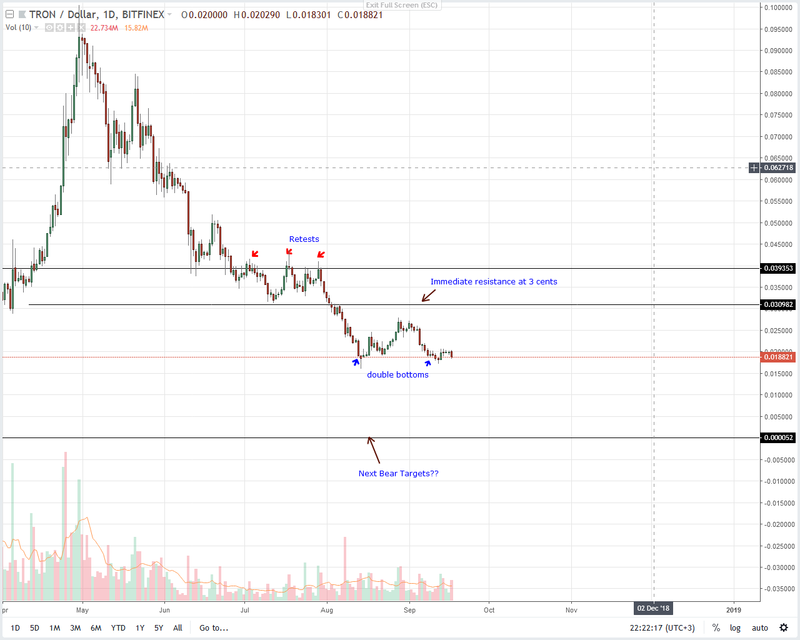 If anything, the fact that EOS prices did collapse after periods of moving within a tight trading ranges with ceiling at $5.5 did fade last EOS price predictions. Furthermore, unless otherwise there are strong gains above reversing Sep 5 losses, then yesterday’s dip is but another case of effort versus result situation printing in a deep bear trend and weighing against EOS buyers. After getting endorsement from BCH founder and evangelist, Roger Ver, DOBI Trade—a Chinese crypto exchange did list LTC pumping the average trade volume in the process. DOBI Trade is well known in the Chinese crypto space and their collaboration with Chuangyu—a technology company in China– thrusted it to the limelight. Upside moves seem to be waning in the daily time frame with yesterday registering a five percent dip in prices but still trading within Sep 14 high lows. Though traders remain optimistic of further gains reversing Sep 5 losses, it is the same high-volume bar that may clip Litecoin bullish attempts driving prices back to the $50 main support line. 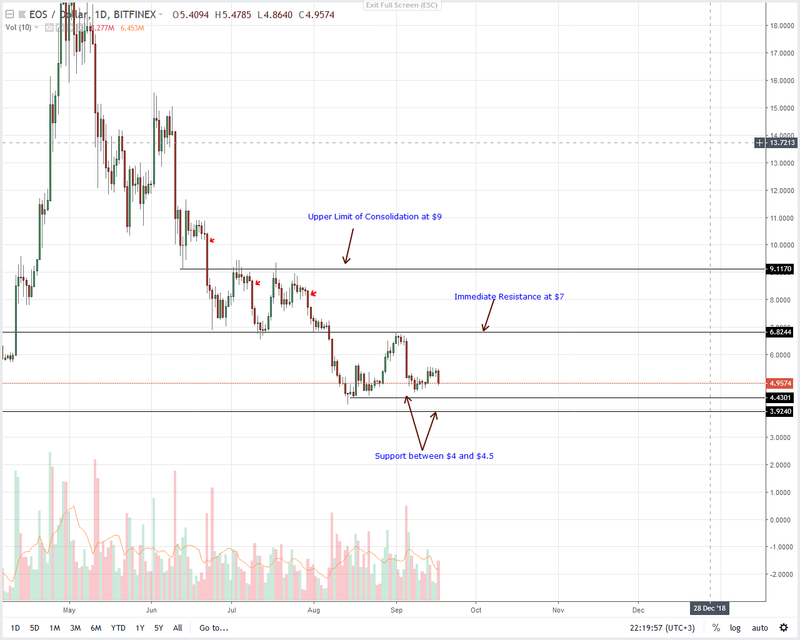 At current prices, our previous Litecoin price predictions are valid and until we see movements above $60, we suggest risk off traders to hold off their trading. However, should there be reversals today, then odds of Litecoin closing above $70 triggering long term Litecoin buys is likely. All things constant, Stellar Lumens prices have been trudging as they struggle to gain ground in the face of dominant bears. As it is from the daily chart, prices are down three percent in the last day but still trading the previous support trend line now resistance at around 22 cents and the main resistance trend line at 25 cents. In line with our last Stellar Lumens price analysis, we shall hold a neutral ground for now. That’s until there are conclusive break outs above 25 cents or below the 15 cents-18 cents support zone. Bittrex shall today launch TRX/USD and LTC/USD trading pairs for their customers. Encouragingly, TRX prices are on an uptrend thanks to that morning star pattern that was confirmed late last week. However, though bulls show potential despite yesterday’s seven percent loss, the subsequent consolidation after Sep 13 candlestick may be a sign of low-level accumulation that might see price breaking above 2.3 cents. 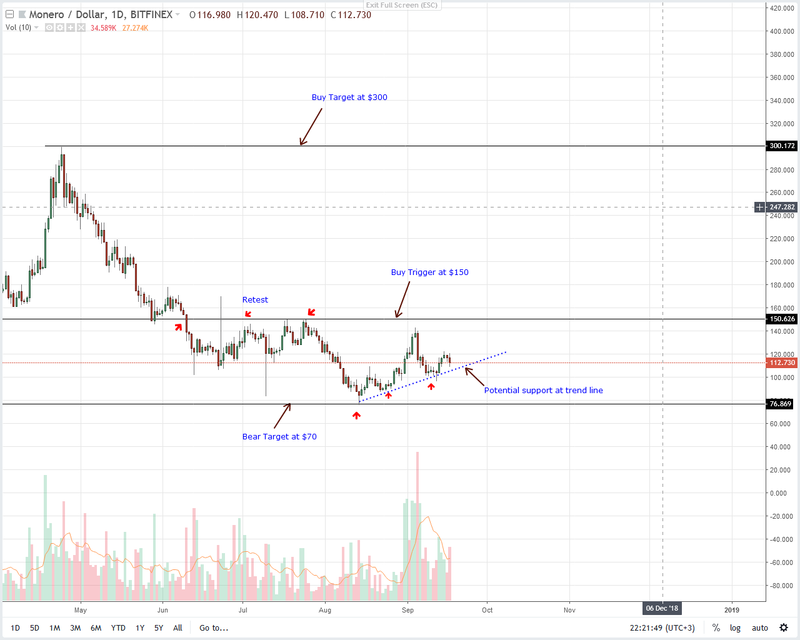 Such kind of moves would not only trigger short-term buys aiming for 3 cents but shall complete a double bottom setting ground for further movements above 4 cents towards the 10 cents ultimate bull target level. A contrarian move shall be printing out if prices edge below 1.8 cents effectively cancelling this bullish projection. This would undoubtedly attract sellers who might then drive TRX towards Jan 24 lows. 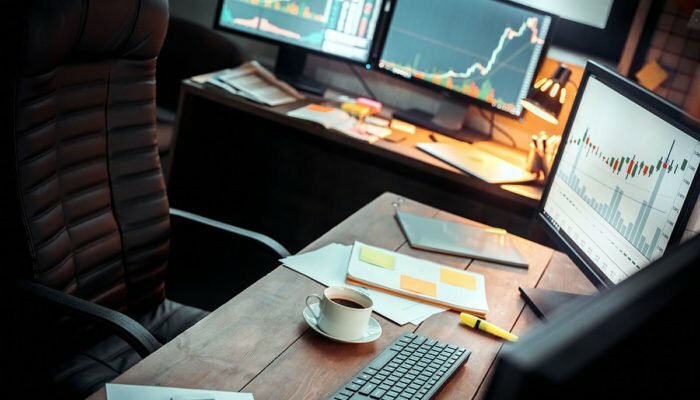 Inactivity in the last 24 hours means Monero prices have been trading within tight trade ranges with resistance at $120 marking the highs of that bull pin bar. 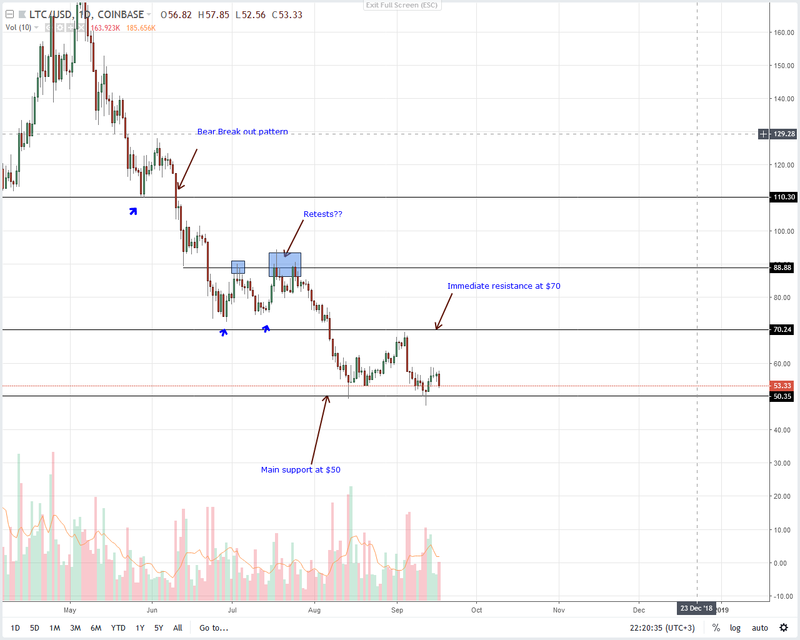 While Monero prices seem to be bottoming up after registering seven percent week over week gains, we need to see prices building up on last week’s momentum and rejection of $100 for at least our bullish Monero price prediction to hold true. If not then we are aware that any dip below $110 and support trend line shall usher the next wave of sellers. 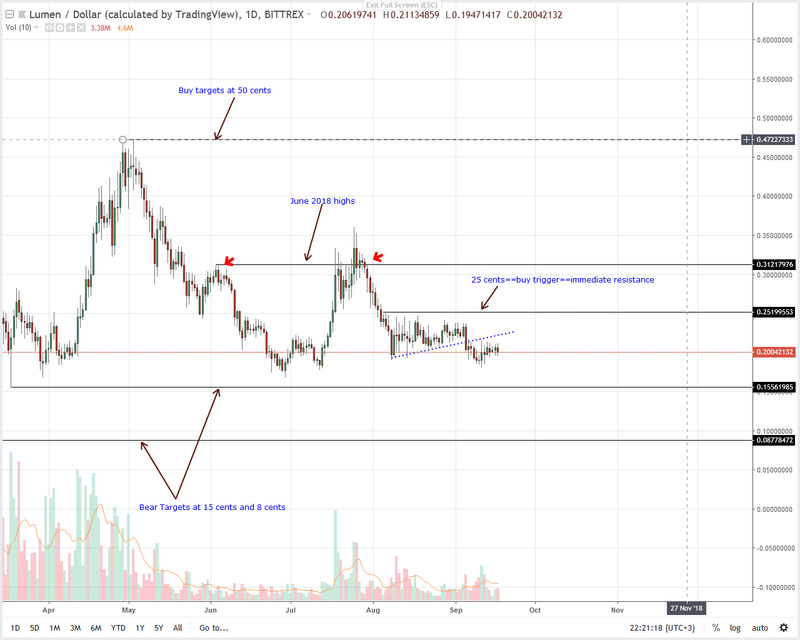 This may end up driving Monero prices to $70, our main bear target level.